UPDATE – Sorry this pattern is not longer free. Sept. 28, 2018. Flower motif on this blanket you can meet on the shawls too. This time we present bedspread or blanket version. Somebody use the name “Ogee” pattern available in Arabesque designs. Pattern is based on granny hexagon but after some changes did by Jane Crowfoot. Link to the pattern is below. 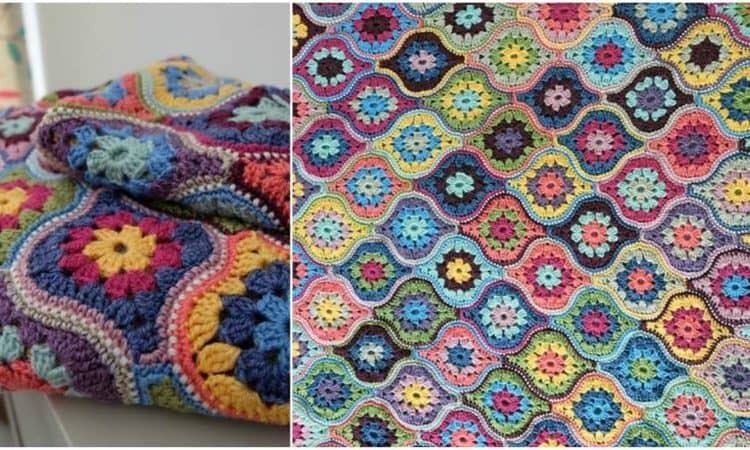 Mystical Lanterns Crochet Blanket – the pattern is here. Join to get more inspirations ->> our Facebook group.